Welcome to experience Alvar Aalto in the lake district of Finland, beside Lake Saimaa! In Varkaus, Aalto drew up designs ranging from industrial buildings and town plans to the homes of ordinary people. Welcome to a tour in Alvar Aalto’s Varkaus! In Varkaus, you can get to know an old industrial town where Alvar Aalto’s influence is still vivid. He started as the designer of the Varkaus Mills in the mid-1930s and continued in this role for about 10 years. There were also a number of plans that never materialised. You will also see other old building history of Varkaus, enjoy the natural environment in the Lake Saimaa area and savour food indigenous of the Savo region. Alvar Aalto, a trailblazer in functionalism, used his design to achieve a more progressive and equal society. In the 1940s, he assumed post-war reconstruction and its sensible implementation as his other key objectives. In Varkaus, Aalto drew up designs ranging from industrial buildings and town plans to the homes of ordinary people. The Varkaus house factory manufactured hundreds of standardised houses designed by him. These were erected in all parts of Finland. The bicentennial industrial history of Varkaus is evident in the appearance of the town. 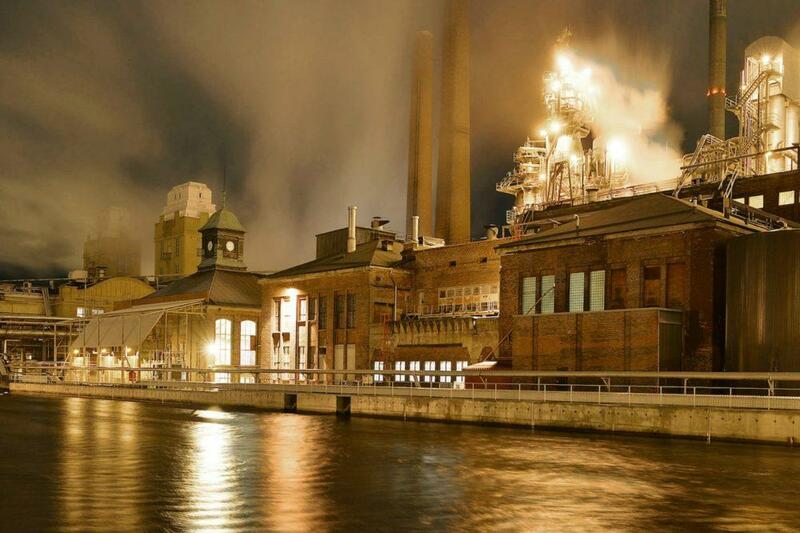 Over the years, Varkaus has been the host of successful iron and engineering works, shipyards, sawmills, wood-processing plants and paper mills. The Varkaus of today is also renowned for its expertise in energy technology. Part of the former industrial area has been converted into a modern fishery centre. Varkaus is able to offer rainbow trout, sturgeon and caviar grown in an environmentally benign manner in the waters of Lake Saimaa. 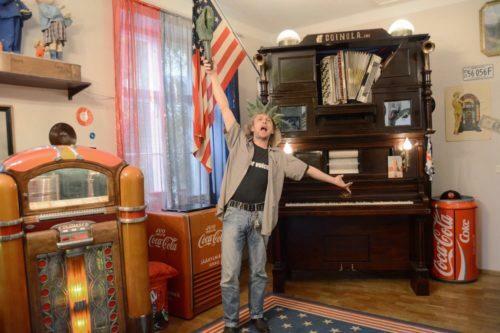 Industrial history is supplemented by the Museum of Mechanical Music, which presents the international history of mechanical music from the 19th century to the present day. The industrial history of Varkaus is evident in the appearance of the town. Over the years, Varkaus has been the host of successful iron and engineering works, shipyards, sawmills, wood-processing plants and paper mills. 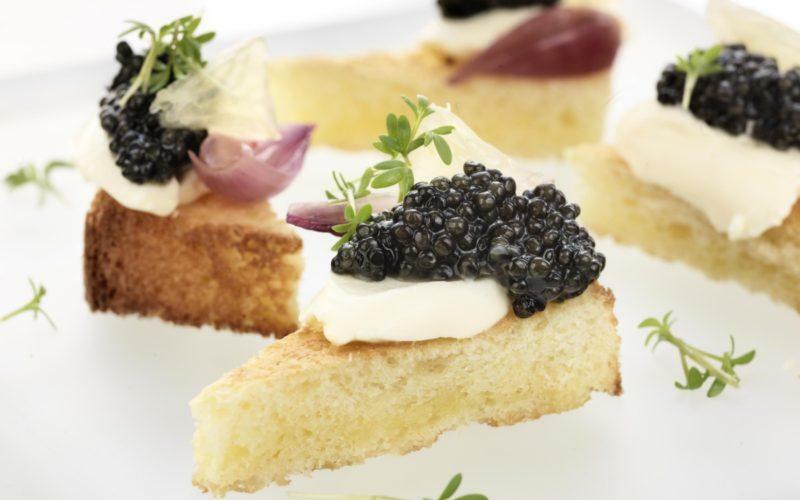 Caviar is one of the local specialties in Varkaus. 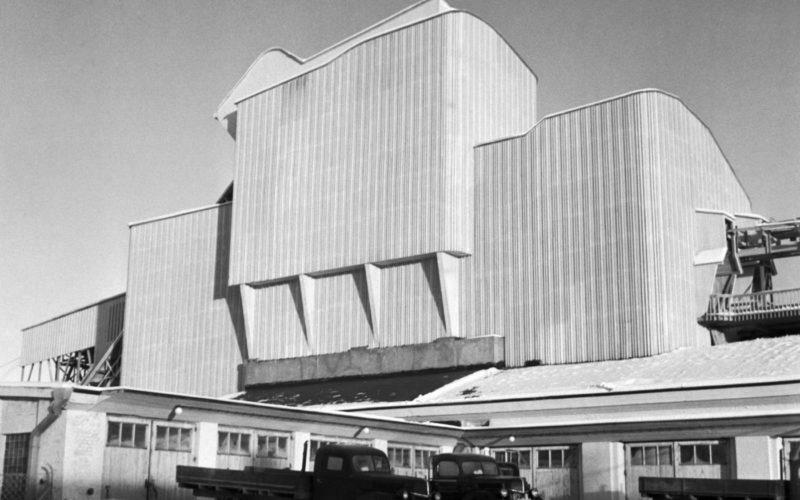 A tour in Varkaus concerning the influence of Aalto on the town plan. 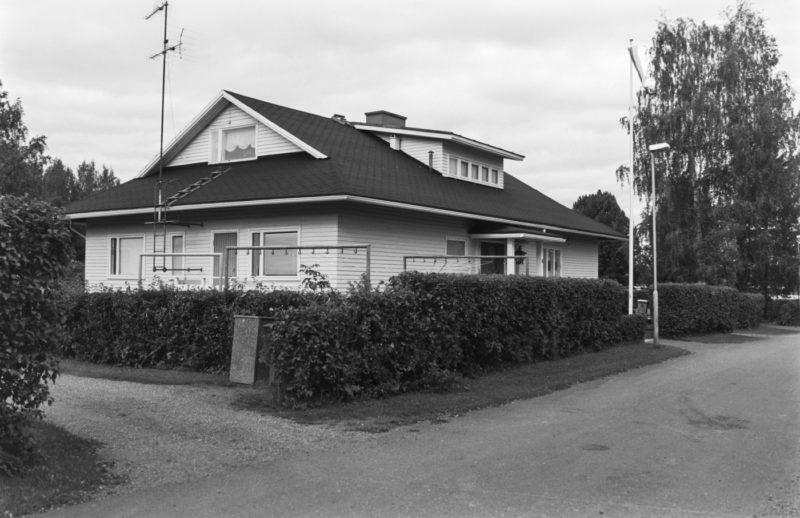 The tour introduces you to the single-family homes of Aalto. The standardised houses were built by the local company Varkauden Talotehdas according to Aalto’s designs. The mode of transportation can be chosen by the customer, options are electric boat, Kalakukko street train or bus. We recommend that you taste the local fish from Lake Saimaa or salmon grown in an environmentally benign manner in the new eco-fishery. Also, the local caviar is a specialty worth a try. See the restaurants from the website Visit Varkaus. Art Centre Väinölä is an idyllic, 105-year-old wooden house, which used to be the residence of the mill manager and the office employees. In the summer period, Väinölä houses a wonderful exhibition of Naive Painters in Varkaus. In the summer the Torni Terrace Café is open on top of the 1950s water tower. There you can enjoy the wonderful view and have a delicious break. Local products, including caviar, are available for purchase from Sepon Lihatori at Päiviönsaari and from Cafe Piirakkapaja / Lähituotepuoti. A guided tour in the Museum of Mechanical Music takes you to a fabulous journey through the vast collection of interesting instruments. The instruments are on display in rooms that are decorated according to the style of their era. If the Aalto tour is done as an electric boat cruise, the guidance takes place on board by means of stories and digital material. The timetable can be adjusted according to the customer’s needs, except for the tours carried out by the electric boat or the adventure bus. Their times of departures are either at 10 am or 6 pm. All the destinations are available for individual travellers. In that case the visits are self-guided and carried out by free city bikes, with the help of the Aalto Varkaus map or a mobile guide, which is available only in Finnish. 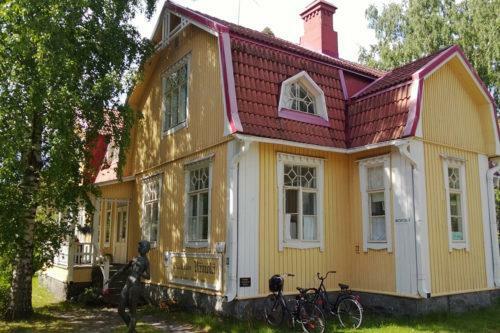 As an alternative destination, there is the Varkaus Museum, which has free admission. It displays local industrial history from the points of view of the workers, and houses an art exhibition. 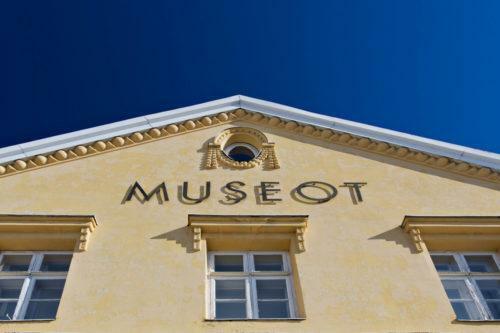 The museum displays local industrial history from the points of view of the workers, and houses an art exhibition. Availability 3 June – 31 August 2019. Other dates are possible but with changes to the itinerary. The tour includes stairs and is not unobstructed in all respects. Art Centre Väinölä has two floors and stairs. There is a lift to Torni Terrace café but stairs on the top. Also the Museum of Mechanical Music has stairs to the exhibition floors. The guided tour does not include much walking. The Aalto tour starts at a location in the centre of Varkaus as chosen by the customer. For individual customers we recommend a self-guided tour by free city bikes with the help of the Aalto Varkaus map. Tarinasoitin mobile guide is available in Finnish. City bikes and Aalto Varkaus map are free of charge. For further information, see Visit Varkaus. Lunch as an additional service is optional. Torni Terrace Café has no entrance fee, servings charged according to the price list. Availability 1 June–31 August 2019. Other dates are possible but with changes to the itinerary. 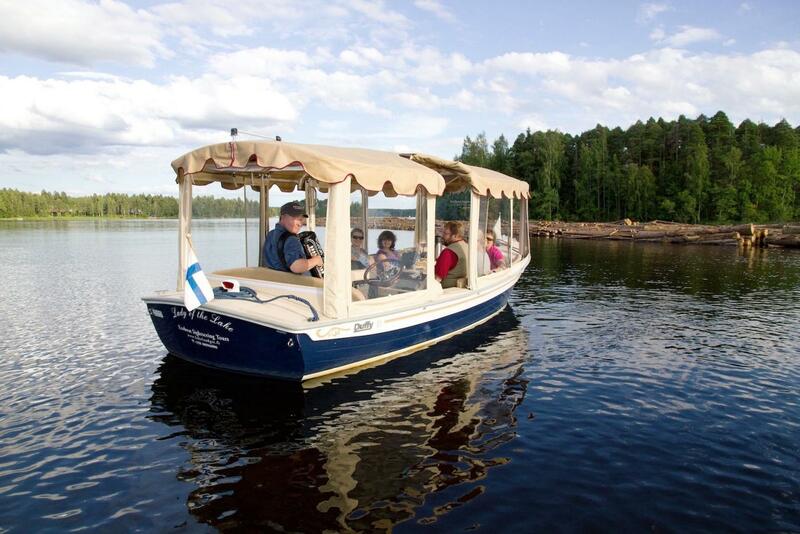 Languages: Finnish, English / Guidance: electric boat cruise, adventure bus tour, Museum of Mechanical Music, Aalto Varkaus brochure.